Last week I promised lots of cookie recipes and here is another one. I’ve been wanting to make this recipe for quite a while. This year the recipients of the cookie-of-the-month club have requested chocolate cookies each month. These cookies were added in one month to contrast against all the chocolate. What is nice about this recipe is that you can prepare the dough in advance and freeze it until you are ready to bake it. In a smallish bowl, add flour, tea and salt and whisk together with a fork. In a larger bowl, add the remaining ingredients and mix with an electric mixer until fluffy. Gradually add the flour mixture to the butter mixture, mixing on low speed switching to a wooden spoon to mix if the dough becomes too much for the mixer to handle. (Apparently, if you’ve got a stand mixer you won’t need to worry about that.) Once the flour is fully incorporated and the dough is uniform, divide dough in half. Shape into logs and wrap in parchment paper or wax paper. The best method for ensuring that your dough logs are nice and round involves a ruler. Push the dough log to the edge of one of the long sides of the parchment paper and fold the paper over the dough. Now, press the ruler firmly against the dough over the long piece of parchment and hold it still while you pull on the bottom side of the parchment. This will shape the dough evenly and force out any air bubbles. Freeze the dough about 1 hour or until firm. Preheat oven at 350°F. Remove dough from freezer and slice into 1/4-inch slices. Bake on lined baking sheets for 7-10 minutes or until the edges are golden. Cool completely on wire racks before storing in an airtight container up to 5 days. 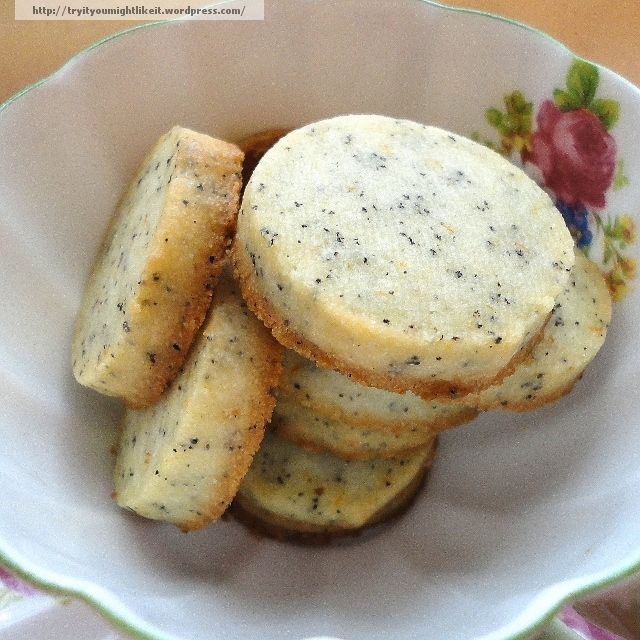 I wouldn’t say that these were my favorite cookies ever though I do enjoy Early Grey tea. 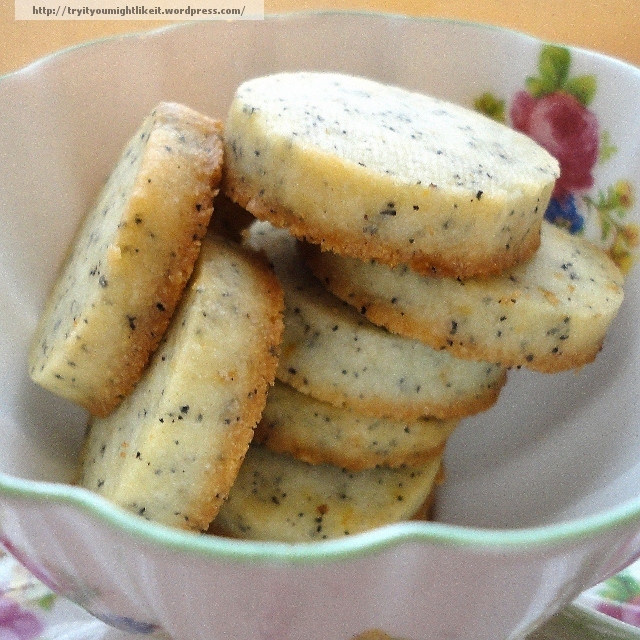 The texture is very much like shortbread and pairs well with a cup of tea. These look so buttery and delicious! Thank you Geni! I’d love to host a tea party sometime and serve these. I am sure these do pair well with a cup of tea! These look very appealing to me. They’re quite pretty, too! I think anytime is the right time for tea and it’s nice to have a little snack to go with it. 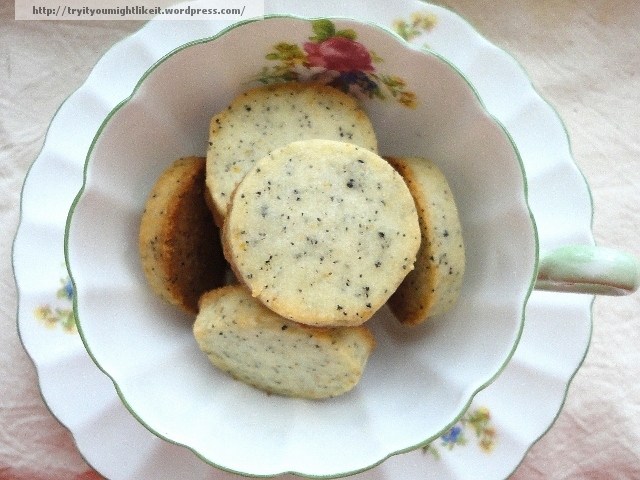 Interesting recipe, I’ve never heard of earl grey cookies before. They sure do look nice. Keen to try it out one day. Thanks for sharing! I have an excellent recipe for chai tea cookies that I just realized I haven’t shared here yet. I’ll need to make them soon. 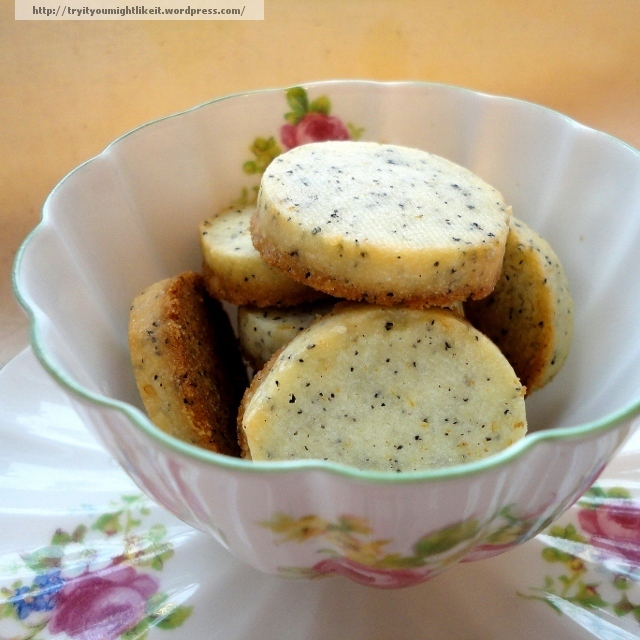 Oh, I made these ages ago and enjoyed them – now I drink earl grey tea all the time. I’ll have to try them again. Earl grey is one of my top 5 tea flavors. I’m a tea person through and through. Ok, this is SO cool! They’re adorable and look delicious! Thanks Megan! The texture is very similar to shortbread cookies.